New research has shown that over 40% of British women are asked inappropriate questions when interviewing for jobs, this is compared to 12% of men. 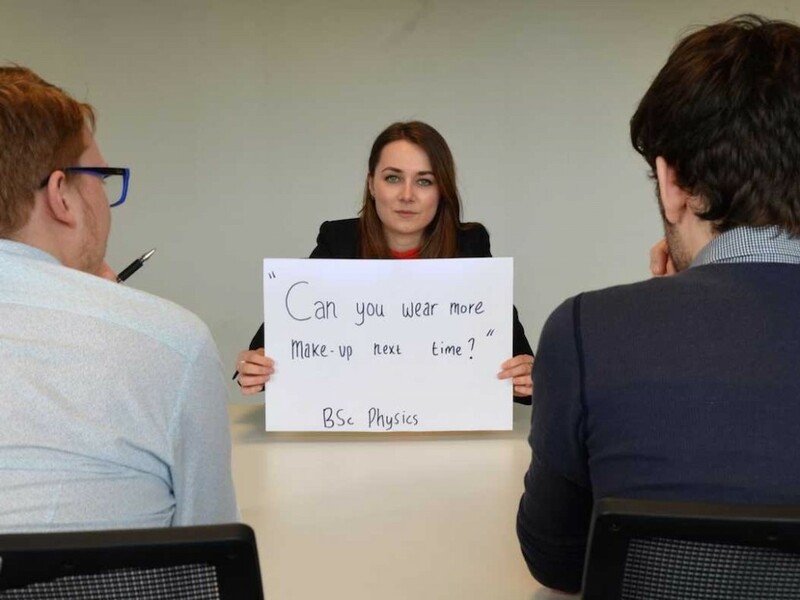 Graduate recruitment app Debut, polled over 2,800 British workers and found that female candidates are asked more awkward questions – even some that are deemed illegal in comparison to male candidates. Under UK law, interviewers have no right to ask about a prospective candidate’s relationship status, health and if they are planning to start a family, but – heck – that hasn’t stopped some employers. Asking an equal amount of male and female workers, Debut found that women are far more likely to be asked about subjects like their relationship status, their age and their future family plans. I can’t imagine stressing out over an interview all day, studying the company, rehearsing answers only to be asked by a sleazy interviewer if you’re interested in them. Who knows where the interview would go if they had answered yes. Once, in an interview to work in a bar at 18 years old, I was asked if I was considering starting a family anytime soon, and then how my boyfriend felt about me working in a bar. I had at no point mentioned even having a boyfriend. I recall walking out of that interview with cuts on my palms from clenching my fists so hard. Charles Taylor, CEO of Debut says that interviews can be difficult enough without also having to worry about answering questions on your personal life. Even if you do survive the awkward, sexist interview, that’s more than likely going to be just the beginning of your problems as a working woman. Almost thirty per cent of women are paid below the living wage and most of the top jobs in the UK are still extremely male-dominated. There is still a gap of 9.4 per cent between male and female pay in full time jobs, which has remained essentially stagnant the last four years. The Trade Union’s Congress has found that in the way things are going it will be another 50 years before men and women are finally earning the same money for the same work. I hope reading this is making you as angry as it’s making me writing it. I don’t understand how we have made it to 2016, almost 100 years since women gained the right to vote, and are still seeing blatant discrimination. Surely, it isn’t hard to see past whether a person pees standing up or sitting down and see them as an individual who wants to work and deserves the same reward as everyone there doing that work. It really isn’t a difficult concept.